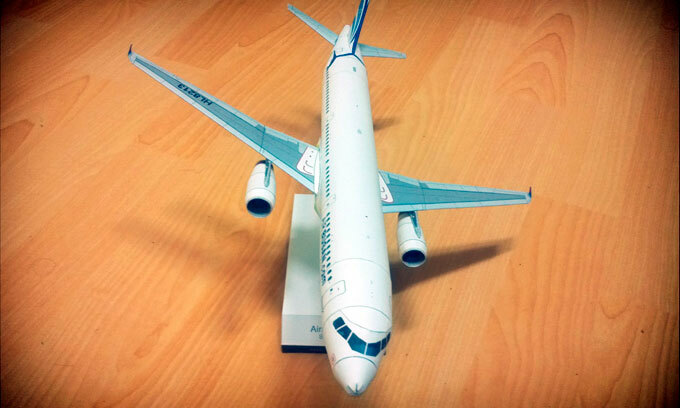 This airplane paper model is Airbus A321 (Air Busan version), modified by Zion. The scale of the aircraft paper model is 1:100. The Airbus A321 is a short-range twin-engine developed by the European Airbus Industrie aircraft. Airbus A320 lengthened.